Service and communication seem to be missing in the repertoire of shop personnel. Last year when we had load shedding our ADSL router at work would stop working due to the connection at the main box failing. I decided to get a LTE mobile data card for in case and took our modem we used to use when on holiday, to the office. Of course, as soon as I bought this, Telkom sorted out their issues and our ADSL router did not fail again. In December I decided to use this data card as I could hotspot my cell phone and that particular service provider has better LTE coverage in our suburb. I tried to enter the pin to load the data but it would not take it as the card didn’t have any airtime on it. So off I went to the shops and purchased R5 airtime. When I tried to load that onto the phone I was told the card was not provisioned. I don’t do queues very well and so didn’t manage to speak to the service provider until last Wednesday. The young lady who assisted me told me that the card I had was no longer active. She gave me a new card and told me I had to use it once a month to keep it valid. I wasn’t told this with the original card and I have data sharing on that number which hopefully hasn’t been assigned to someone else. I will now send a text message on the 1st of each month from this card so that if we ever need to use the data, the card won’t be the issue. I cannot fathom how difficult it is to impart all of the information to customers the first time around so that they don’t end up wasting their time? Now, making these flowers won’t be a waste of time as they are so pretty to look at, and will turn an ordinary cake into something special. 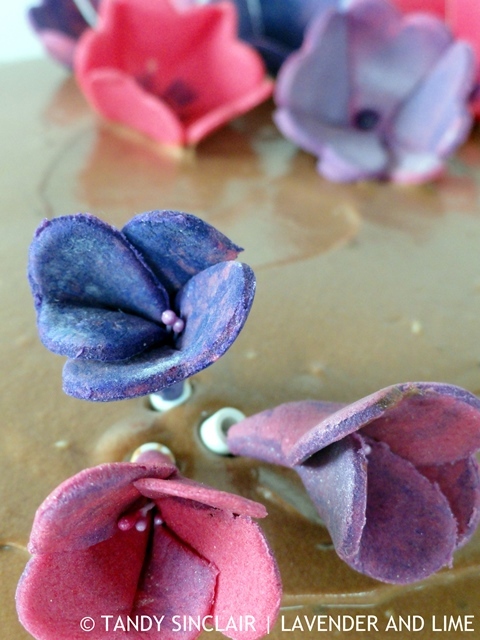 Sugar Paste Flowers will jazz up any ordinary cake to turn it from something plain to a show stopper! This is my submission to the Daring Kitchen Challenge brought to us by Shillpa Bhaambri from Cakeline the Journey. I am sure you will make them perfectly! I must of dreamed you had written this post, I totally thought I had commented already. Oops! Oh wow these are so pretty! Imagine these decorating a wedding cake… new business idea…? You are very talented! 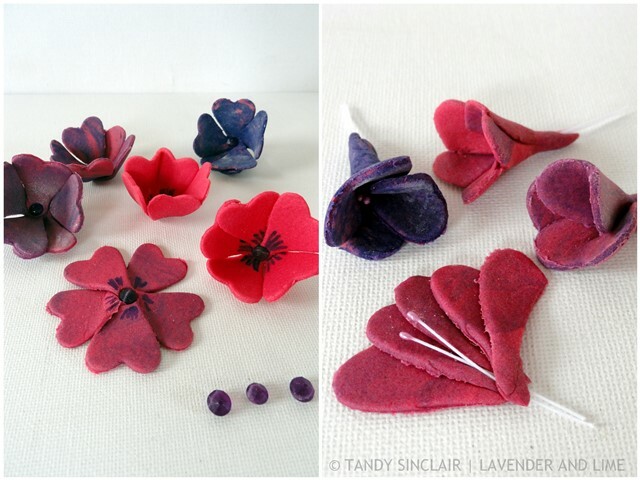 Awwww, these look adorable, Tandy. Perfectly crafted. So good. Tandy! You are so creative – what beautiful little decorations for cakes! I don’t know what “poppies” or remembrance day are even… But, I do remember your lovely site… and it just keeps getting better. I want to see your cake Tandy! I think your mother’s advice is very sensible – learn what it’s SUPPOSED to feel like, and then you’ll know if you’re doing it right. 🙂 What a fun project! You are so talented! I don’t even think with your great directions and photos I could make anything look anything like a flower. Now I totally understand the whole frustration with customer service. It is even more complicated here as it is not in English… LOL Wishing you a super day!